“You’ve got an Angbao” the app notification flashed on my nephew’s mobile. “Thanks uncle, Gong Xi Fa Cai!“ he beamed excitedly and raced to his parents to show off his first digital red packet. As I watched my young nephew’s excitement, I instantly thought of how digitalising the traditional custom of red packet-giving is one of the sparks propelling the e-payment juggernaut across Asia. Prime example in this space is WeChat Red Packet which originally began as an experiment for Tencent employees to exchange red packets during the Chinese New Year. Since its 2014 launch, it has seen hyper-adoption rates with a reported 768 million users sending digital red packets via WeChat over the recent 2018 festive season. E-payment services like WeChat Pay and Alibaba’s AliPay have become ubiquitous in cities and towns across China. Millions use them daily for peer-to-peer (P2P) transfers and transactions for nearly everything from entertainment, food, healthcare, transport and utility services. Here in Singapore, we too enjoy a wide range of e-payment services operated by various providers such as Apple, EZ-Link, DBS Bank, Grab, NETS, Samsung and SingTel. Going digital and cashless is not a new or novel experience for the residents of our island nation. In fact, more 30 years ago, Singapore pioneered one of the world’s first nationwide e-payment services in 1986 when NETS (Network for Electronic Transfer Singapore) launched NETS Debit enabling bank ATM cardholders to pay electronically for their bills and retail purchases. This was followed by other payment innovations such as NETS Cashcard - a pioneering form of stored digital cash for making small value e-payments such as carpark and ERP (Electronic Road Pricing) charges. Over the decades, NETS acceptance points have grown to well over 100,000 throughout Singapore and in 2016, the total value of NETS transactions reached SGD24 billion. 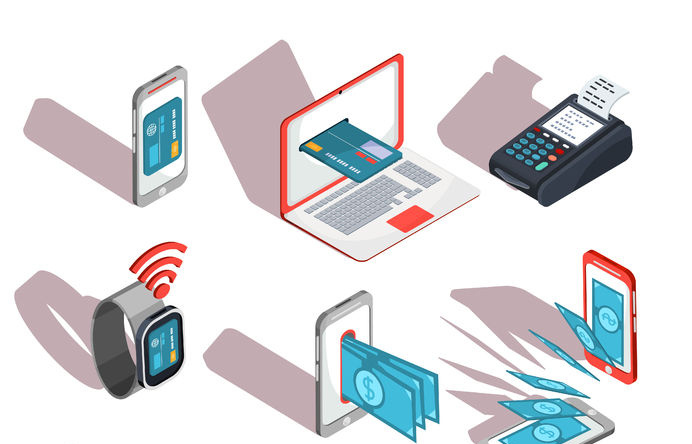 Being early e-payment adopters, many in Singapore have already experienced the convenience of going cashless and are ready to welcome new payment services powered by app-based technologies. As a vibrant Asian fintech hub, there has been no shortage of such innovative payment solutions debuting in Singapore. Over the last 4 years, we have seen a steady stream of mobile payment apps from major financial institutions (e.g. DBS PayLah! and OCBC Pay Anyone), global phone makers (e.g. Apple Pay and Samsung Pay), regional telecommunication operators and even ride-hailing providers (e.g SingTel Dash and GrabPay). Many of such apps started as mobile e-wallets for credit and debit cards but have rapidly moved into P2P fund transfers. For example, the Singapore headquartered ride-hailing service provider, Grab introduced P2P functionality on its in-app mobile wallet GrabPay in 2017 and has been especially active in promoting its use amongst small businesses such as hawkers. This is a laudable move since hawkers constitute a sizable group of traditionally cash-only business operators who have until now, been deterred by the costs and fees normally associated with point-of-sale systems. With mobile payment apps such as DBS PayLah! and GrabPay, an expanding number of hawkers and small businesses, together with their mobile carrying customers, are making the quick and easy switch to e-payments. Thanks to the multiple functionalities available on these apps, users can not only check their bank accounts, perform financial transactions or hail rides, but also pay for their food, entertainment and other retail purchases. To help even more people enjoy the benefits of the digital economy, the government has also been taking steps to further advance and facilitate Singapore’s move towards a cash-free society. A significant milestone is the launch of the PayNow fund transfer service in July 2017. Supported by the Association of Banks of Singapore, PayNow allows for instantaneous fund transfers just by using the recipient’s mobile number or identity card number. With PayNow, users no longer need to remember or share bank account details in order to send or receive funds thereby removing a major user bugbear hindering electronic fund transfers. In the months following PayNow’s launch, more than a million users have registered for PayNow and used it mostly for P2P transfers totalling in excess of SGD370 million. During the recent 2018 Budget debates, it was announced that PayNow Corporate will be launched to enable businesses to link their corporate bank accounts to their unique entity numbers (UENs) and that public agencies will also begin to use PayNow (e.g. Central Provident Fund Board will allow eligible members aged over 55 years of age to receive lump sum withdrawals via PayNow). Adding to this positive momentum generated by PayNow, users in Singapore can also look forward to SGQR in 2018. Conceived as a national QR code standard, SGQR will facilitate QR code-based payments via a common standard across an entire range of e-payment services. By enabling seamless e-payments for all customers and merchants, PayNow and SGQR constitute a powerful complementary combination which will further accelerate Singapore’s digital transition towards a cashless society. In addition to making e-payments convenient and fast, Singapore is also moving to enhance its payments regulatory framework which has as its key existing pillars - the Money-Changing and Remittance Businesses Act (MCRBA) and the Payment Systems (Oversight) Act (PSOA). As an example, e-wallets and payment apps which allow users to make payments from bank accounts or credit cards would potentially fall under the regulated category of account issuance services. When enacted, the PS Bill will enhance MAS’ ability to implement appropriate user protection measures in a broad range of payment services. In turn, such measures would provide users even more assurance and confidence in their use of e-payment services. Viewed together with PayNow, SGQR and other market-led innovations, an expanded regulatory framework for payments is timely and would be much welcomed. With the expected double-digit growth rates in e-payment activities across Asia in the coming decade, Singapore’s continued efforts to develop an accessible, efficient and interoperable payments ecosystem serve as shining guideposts in the journey towards building a Smart Nation. Vincent Kor is the General Counsel of the Government Technology Agency where he heads its Legal Division.